Kevin Clifton, who won the most recent series with Stacey Dooley, will also return alongside Gorka Marquez, AJ Pritchard and Katya Jones. 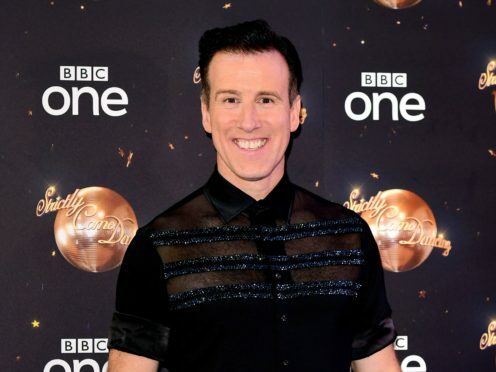 Du Beke, who is known as the King of Ballroom, has appeared in every series of Strictly Come Dancing to date, but is yet to win. It was announced last month that Pasha Kovalev, who won the show in 2014 with celebrity partner Caroline Flack, will not return for another series. However, Aljaz Skorjanec, Amy Dowden, Dianne Buswell, Giovanni Pernice, Graziano Di Prima, Janette Manrara Johannes Radebe, Karen Clifton, Luba Mushtuk, Nadiya Bychkova, Neil Jones and Oti Mabuse will all return for the 17th series of the show. Di Prima, Radebe and Mushtuk were all new additions to the Strictly line-up in 2018, with Di Prima partnering radio DJ Vick Hope to get to week five. Radebe and Mushtuk are yet to compete with a celebrity contestant, while Neil Jones is yet to partner a star in the main series – although he has taken part in two Christmas specials. Jones and his wife Katya were embroiled in scandal during the 2018 series when Katya was photographed kissing her celebrity partner Seann Walsh, while he was in a relationship with actress Rebecca Humphries. Sarah James, executive producer at BBC Studios, said: “We are delighted that this year’s line-up of professional dancers for Strictly Come Dancing is full of familiar faces and fan favourites. Information about which dancers will be partnered with celebrity contestants will be announced in due course, the BBC said.